Let’s talk about the size factor first. 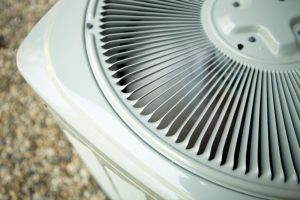 This is step one in installing a new air conditioner—you first want to make sure that it is properly sized to meet your home’s unique cooling needs. And when we talk about air conditioner “size,” we aren’t just talking about the amount of space that your system will take up, though that does matter too. What we’re talking about is the amount of energy output relative to the size of your home. In other words, when it comes to your cooling system, size really does matter. An improperly sized air conditioner, whether it’s too big or too small, will cause system inefficiency, tons of wasted energy, and subsequently wasted money. A professional HVAC technician will help you determine exactly what system will best meet your needs. As we highlighted above, your air conditioner needs to be properly sized for your home. But this isn’t the only reason professional installation matters. Installing a new air conditioner takes a lot more than just fitting the system in the right place in your home. There are a number of factors that can impact the overall efficiency of your cooling system, and only a professional knows how to take these all into consideration. Additionally, they know if a system is too efficient for a home, and therefore will help you make an educated choice. Central air conditioners rely on the flow of refrigerant to transfer heat from inside your home and expel it outdoors, while bringing in cool air. Without refrigerant, your air conditioner can’t do its job. Refrigerant can be a hazardous chemical if not dealt with properly, which is another reason professional AC installation is so important. Another note, on refrigerant—if you’re ever told that your new or old air conditioner needs a refrigerant refill on a routine basis, this is incorrect information. Your air conditioner comes with—ideally—enough refrigerant to last its entire lifespan. If your system is losing refrigerant, it means that you have a leak that must be located and repaired—by a pro! At that time they will refill (recharge) your refrigerant, but it shouldn’t need to be refilled again (unless, of course, you have another leak). For expert installation and air conditioning service in Edmond, OK, contact Comfort Incorporated.